She’d been hunted, stalked, and forced to keep a secret no one should have to live with. I’d made her a promise. Her freedom, my rules, no questions asked. I thought I’d kept my promise but I made a mistake—an inexcusable mistake. I was done playing games with the killer who’d murdered my wife’s parents and tracked her for sport. If he thought he was safe in a jail cell, he was wrong. No one puts out a hit on my wife and survives. I am sooo sad it's coming to an end. I have such love and appreciation for this series. This is THE FIRST Contemporary Romance/New Adult series that I have ever read. I usually stick to genre such as fantasy, YA and paranormal but I have definitely expanded my horizons with this lovely! I have written reviews for the first two books in the series and I am thrilled to write one for Impossible End the novella that concludes the Unchecked Series. Where to begin? Well, this story was short and oh so sweet. It was action packed from beginning to end! SO much happens in such short amount of time that my head was spinning! One minute everything is like a perfect little dream with the fluffy clouds and angelic voices. The next minute everything is going to hell with bullets flying, snipers and a lot of running for your life! This novellas was such a fun ride! If you haven’t read this series yet...you are really missing out! If you are looking for a fast paced romance, a feisty protagonist and hot men...don’t look any further!!! 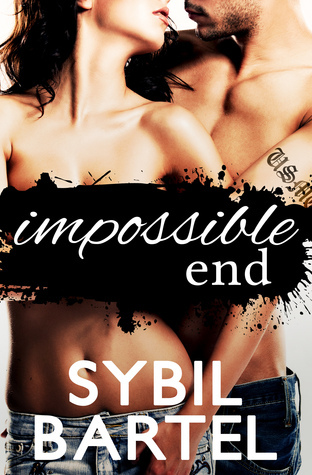 however, I am beyond excited for the new projects that Sybil will be releasing in the near future!! !